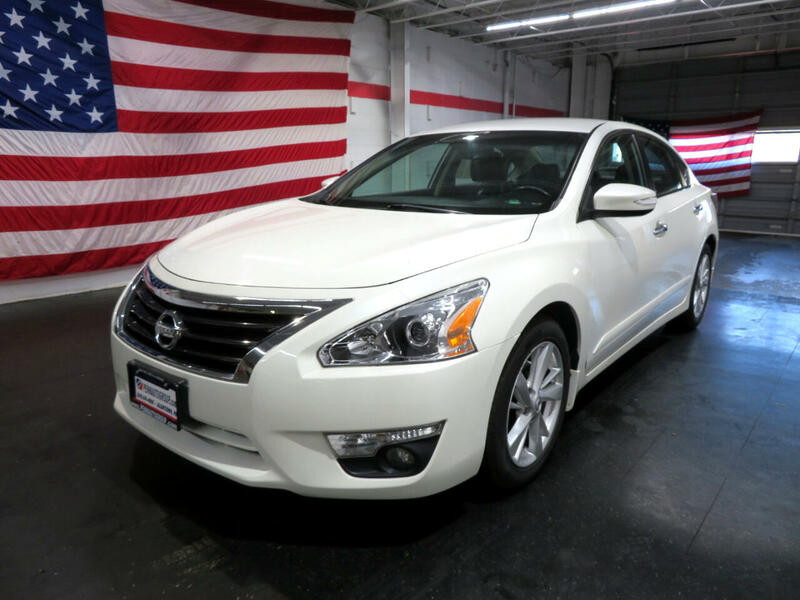 White 2015 Nissan Altima 2.5L I4 DOHC 16V CVT with Xtronic 1 OWNER VEHICLE, CLEAN CARFAX, BACK UP CAMERA, LEATHER INTERIOR, MP3/CD PLAYER, REMOTE START, ABS brakes, Alloy wheels, Compass, Electronic Stability Control, Front dual zone A/C, Heated door mirrors, Heated Front Bucket Seats, Heated front seats, Illuminated entry, Low tire pressure warning, Remote keyless entry, Traction control. So come on down to our dealership in Bethlehem, Pennsylvania. We are open Monday through Saturday from 9 am to 8 pm. Contact us with any used car questions you may have, our number is 610-674-4000. Make Penn Auto Group your first choice for affordable used vehicles. Reviews: * The 2015 Nissan Altima offers all the "best-of" benefits of a Toyota Camry or Honda Accord, but without the midsize-sedan "me-too" factor that inevitably comes with buying one of those cars. The fact that it delivers excellent fuel economy and subtly cool styling is icing on the cake. Source: KBB.com * Impressive acceleration and fuel economy with either engine; strong crash test scores; satisfying ride and handling balance; capable and user-friendly electronics; above-average cabin quality. Source: Edmunds * The 2015 Nissan Altima is a car that must be experienced. Its dramatic curves, gorgeously sculpted steel and wide stance adds up to form a car that is exciting to drive, extremely aerodynamic, and slices through the air with ease. Nissan gives you seven tempting Altima trims to choose from starting with the base 2.5 all the way up to the top-of-the-line 3.5 SL. The 2.5 models all share a 2.5-Liter 4-Cylinder engine with 182hp that gets an EPA estimated 27 MPG City and 38 MPG Hwy. The 3.5 Models on the other hand deliver a thrilling 270hp from a more powerful 3.5-Liter V6, and get an EPA estimated 32 MPG highway. All models come standard equipped with the amazing Xtronic CVT transmission. Inside the 2015 Altima, the cabin is spacious, modern and notably upscale with high-end materials and soft lines. For comfort, Nissan developed extremely comfortable front seats that are not only supportive, their cushions also flex in accordance with your pressure points, to help reduce fatigue while driving.